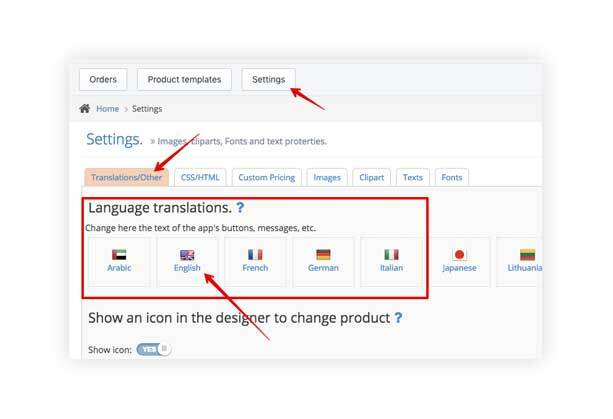 Language translation tool. Changing the text of the tool (buttons, info popups, etc.). 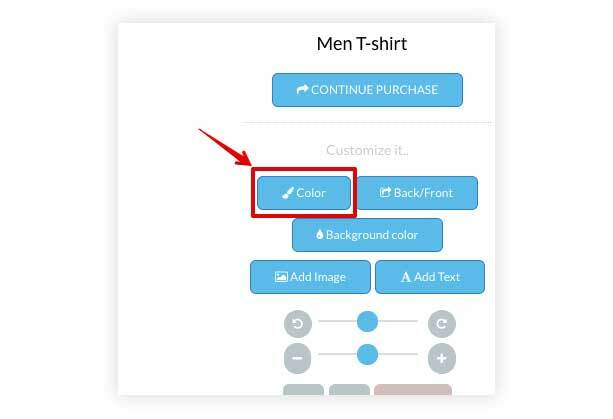 Imagine that you want to change the text of the button "Color" to "Select Color" in English. To change it, go to Settings > "Translation/Other" tab and click on "English"
Then. find the "Color" text in the section related to "Buttons" and replace the default text "Color" to "Select Color". Then click on "Update"
You can do the same with any text and language.